I was recently contacted by an Independent Consultant with NYR Organic, Stephanie McGee and she introduced me to their fabulous line of organic beauty products. After looking them over I chose to do an NYR Organics review of the Rose Organic Shampoo and Conditioner. I really like the selection of sustainable, organic beauty products that NYR Organics offers! They have everything from organic cosmetics to organic herbal remedies. They have Garden Mint and Bergamot Hand Lotion and Mother to Be Organic Gift Boxes. 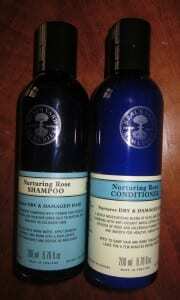 I chose the Nurturing Rose Shampoo and the Nurturing Rose Conditioner to review. The NYR Organics Nurturing Rose Organic Shampoo and Conditioner come in pretty blue plastic bottles that are made out of recycled plastic and that are recyclable. I chose the Nurturing Hair Care because it is was billed as a smoothing and good for reducing breakage. I absolutely love the scent of the NYR Organic Nurturing Rose Shampoo and Conditioner- it is like breathing in joy to me! Roses are so divine! The shampoo lathered up nicely and I liked the ingredient choices of vitamin rich rosehips, seabuckthorn and passionflower oils. The conditioner was very creamy in texture and I let it sit for a long while as it seemed a shame to wash such good ingredients as coconut oil, rose and calendula out of my hair! After using the Nurturing Rose Hair Care, I can attest that it is very smoothing! I always have fly always but the the Nurturing Rose NYR Organic Hair Care did a great job at making my hair feel soft and smooth and I was able to run my hands through it easily without any frizz. Plus, I love smelling my hair throughout the day- a nice subtle, natural rose aroma. 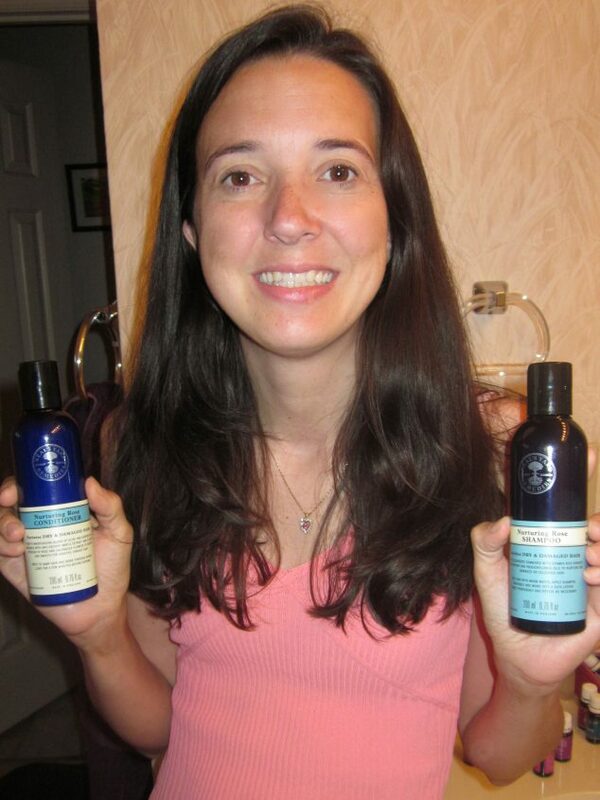 I really enjoyed getting to try NYR Organics and I look forward to using the Organic Shampoo and Conditioner again. You can shop NYR Organic online or through the catalog. You can also become a independent consultant and host parties or sell through your free online website! I did receive hair care in the hopes I would share my honest opinions. I received no monetary compensation and the opinions expressed are my own.